Hometown and Mecca of the Beatles, Liverpool has many interesting aspects and iconic sights to see. Sir Paul McCartney recently made a trip back to his hometown of Liverpool. Why not follow in his footsteps and visit the fascinating sights of the city? Surprisingly they are not all Beatles-related, but it wouldn’t be a listicle about Liverpool if we didn’t include at least some. Below we find out about a literary riddle in Liverpool, an ancient chapel, a Beatles-related museum and an iconic location and the history of the international slave trade. There is also a photo gallery to explore. 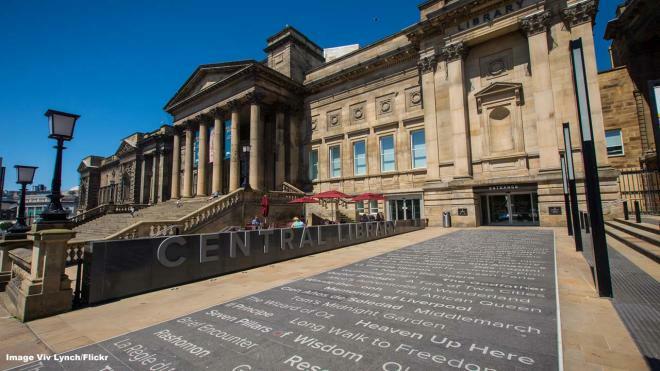 The pavement leading to the entrance of the Liverpool Central Library is engraved with titles relating to books, music and cinema. However, also embedded in the grey granite are a series of seemingly random red letters. These letters form a riddle or puzzle for visitors to try to solve. Could you solve this literary riddle? 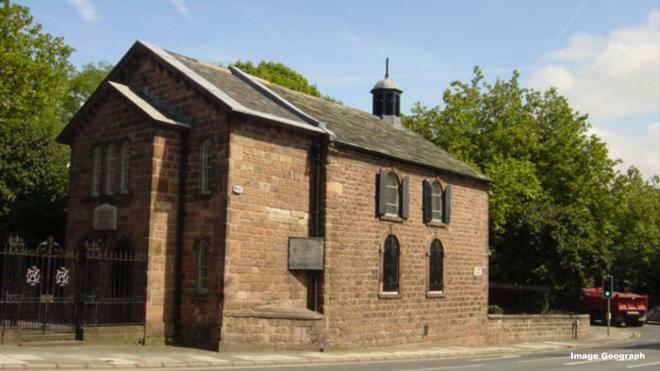 This sandstone chapel has stood for almost 400 years at the bottom of Park Road. The utilitarian church is still in use today. According to Atlas Obscura, the first minister of the chapel was Richard Mather, who later moved to Boston, USA, where his family became involved in the infamous Salem Witch Trials. Toxteth itself was a royal park with a magnificent forest where King John and his knights would hunt wild boar and deer.